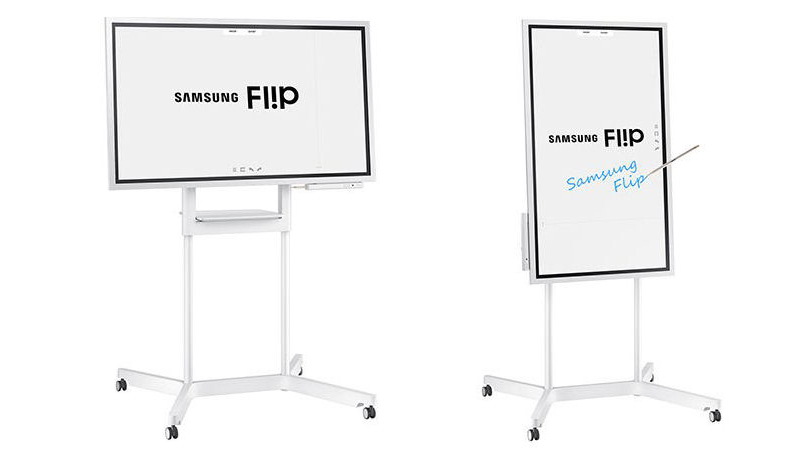 Leasing puts the Samsung Flip in your office the very next day! 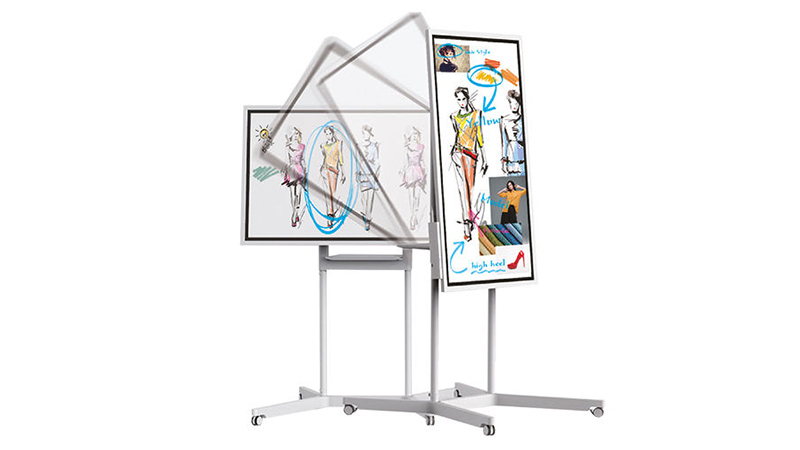 The Flip Interactive Display from Samsung is a 55 inch pivoting interactive digital touchscreen flipchart, designed with the latest features from note-taking to intuitive navigation on both white or blackboard modes. It’s perfect for creative thinking, up to four users can get creative at the same time, using any object as a writing tool to create content and designs in a variety of different colours and styles. The Flip connects with mobile devices, laptops, USB sticks, external screens via HDMI and the internet so that your team can share and edit content in real time. Peerless Rotating wall mount & installation. Its user-friendly menu simplifies navigation and reduces the time required to access controls or view content. You can also preview individual pages and make changes instantly on screen, as well as keep your ideas and notes safe with the Flip’s pin protection – each of your in-office teams can set a unique pin code to lock the display and remove critical content from view after use, so any confidential information can be stored safely. 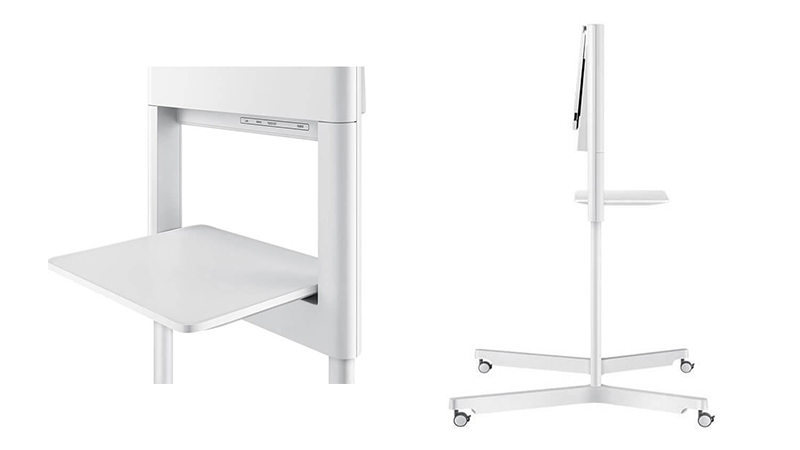 The Samsung Flip floor stand is available as an option, there is also a wall mounted stand available – speak to our team for details. Apple users: The Flip can’t be directly connected to an iOS/ MacOS device meaning reduced functionality. We recommend an Apple TV be added to the Flip which allows the full functionality and allows multiple devices to be connected. 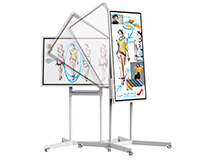 NB: Pictured with the Samsung Display Stand which is available separately as an option. 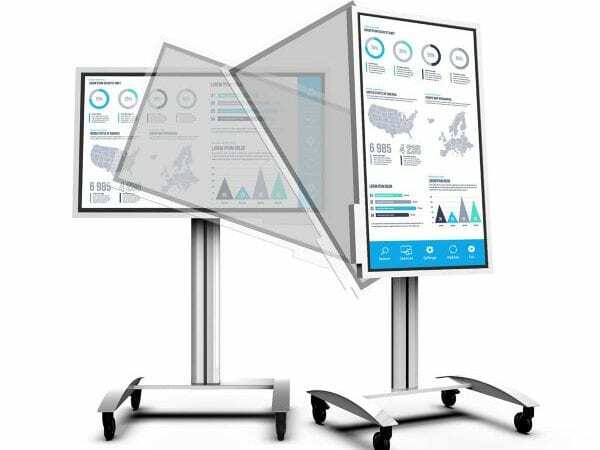 The Samsung Flip is a 4K, 55″ interactive Display packed with features to enhance & entice office collaboration. The Samsung Flip transitions seamlessly from Portrait to Landscape to suit your style. The Samsung Flip has 2 unique mounting options. Choose one to suit you. The Peerless-AV Stand is another great option for the Samsung Flip.